1. 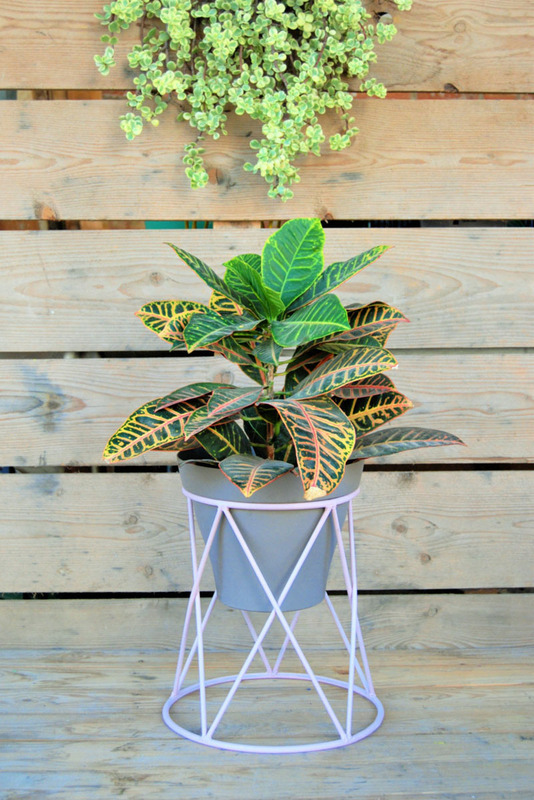 With a unique geometric design, this black metal plant stand effortlessly holds a potted plant, and decorates a room at the same time. 2. 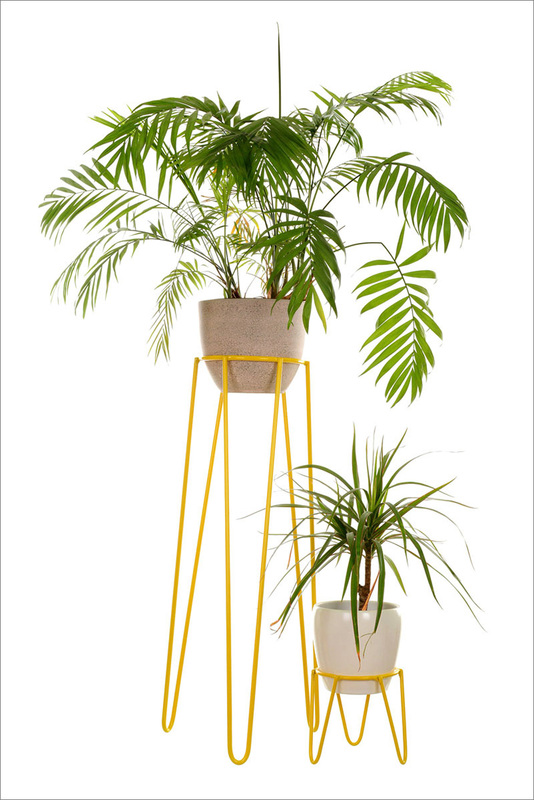 Mid-century inspired, these modern yellow wire plant stands are nice and sturdy making them perfect for any plant inside, or out. 3. 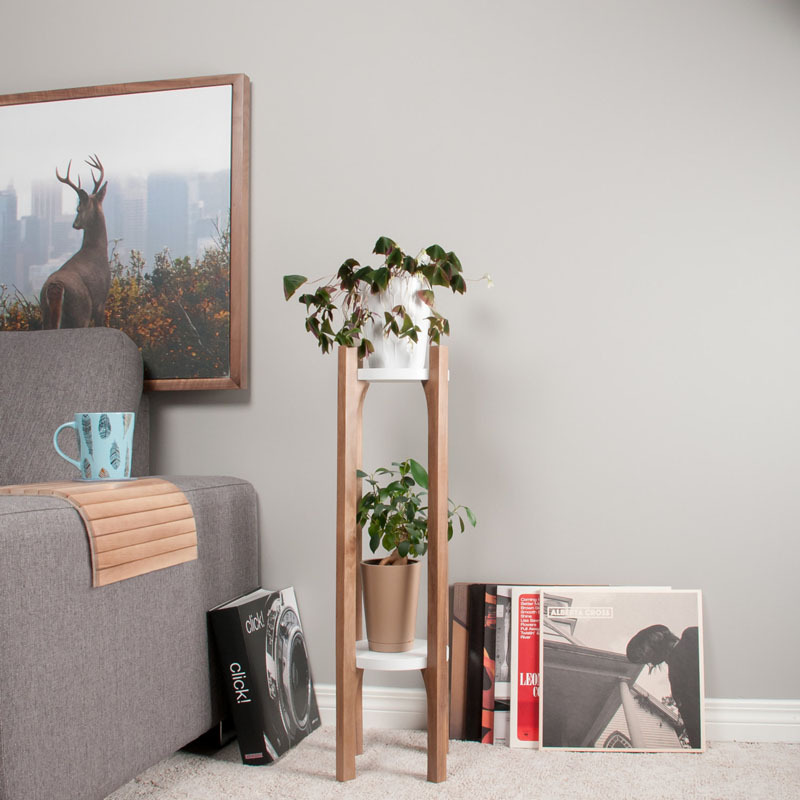 This walnut wood plant stand is two tiered with white shelves to hold multiple plants. 4. 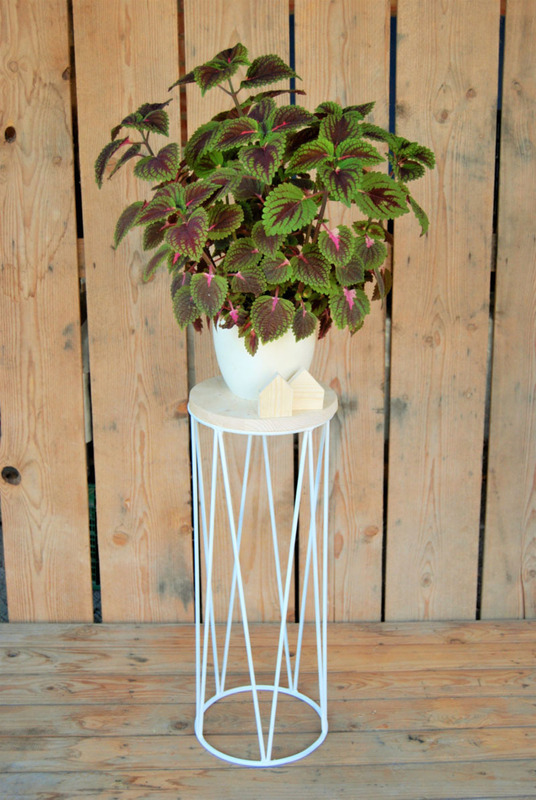 Short and sweet, this purple plant stand is delicate but also strong enough to support large plants. 5. 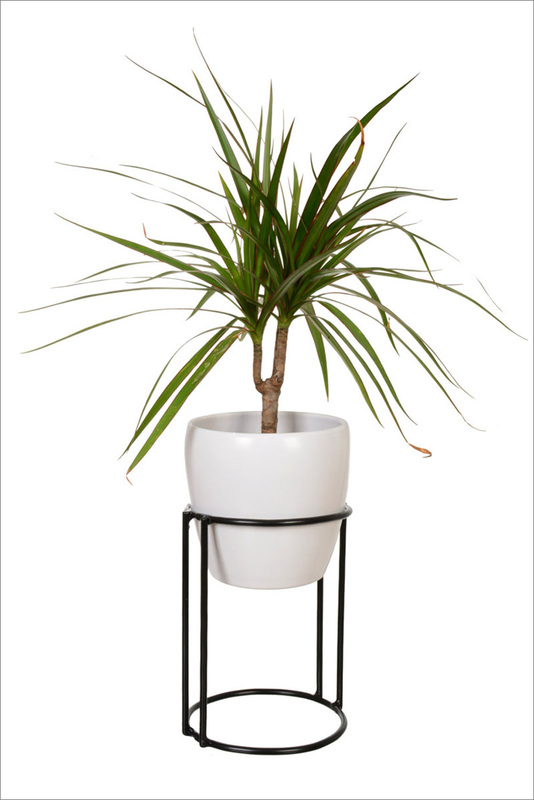 This black steel plant stand is perfect for the minimalist home, with clean lines the plant takes centre stage. 6. 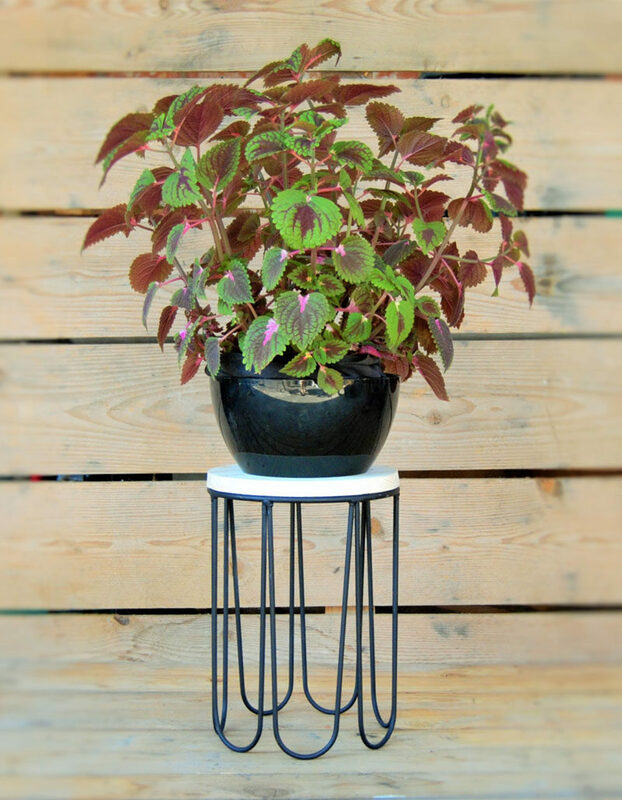 Circular in shape, this black steel plant stand is suitable for both indoors and outdoors. 7. 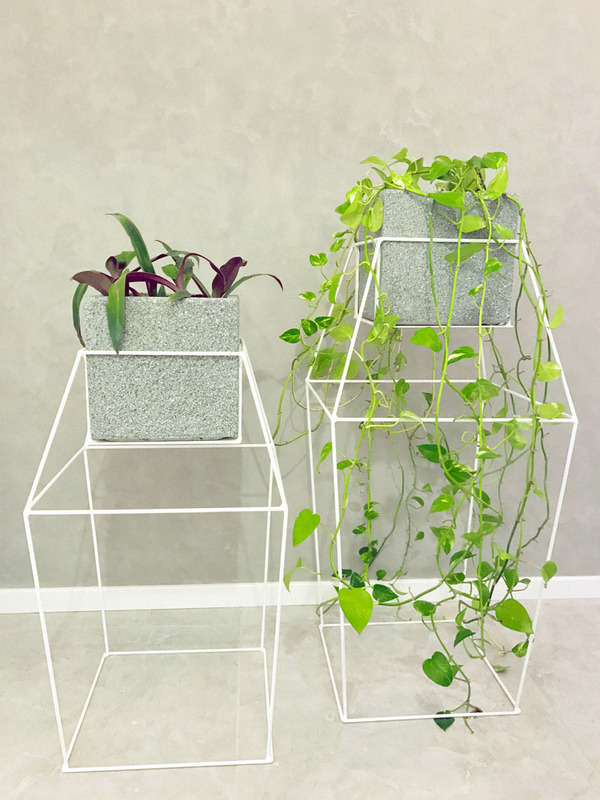 Inspired by diamonds, these modern white metal stands are large, and have extra supports that allow plants to grow and wrap organically around the structure. 8. 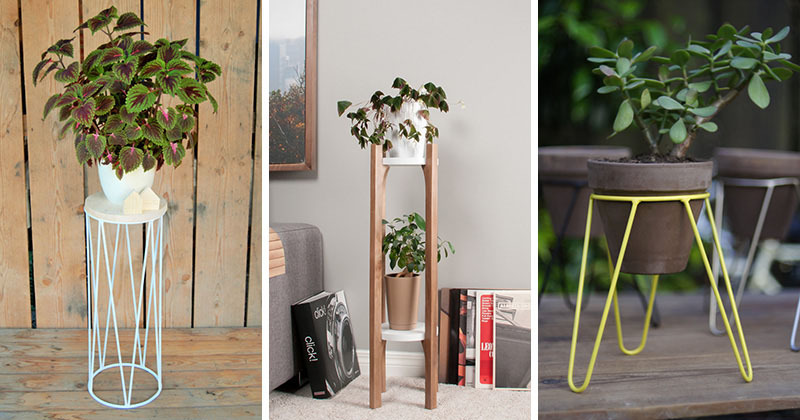 With an easy to move wood platform, a pot can be put on top, or placed directly into the light blue iron stand. 9. 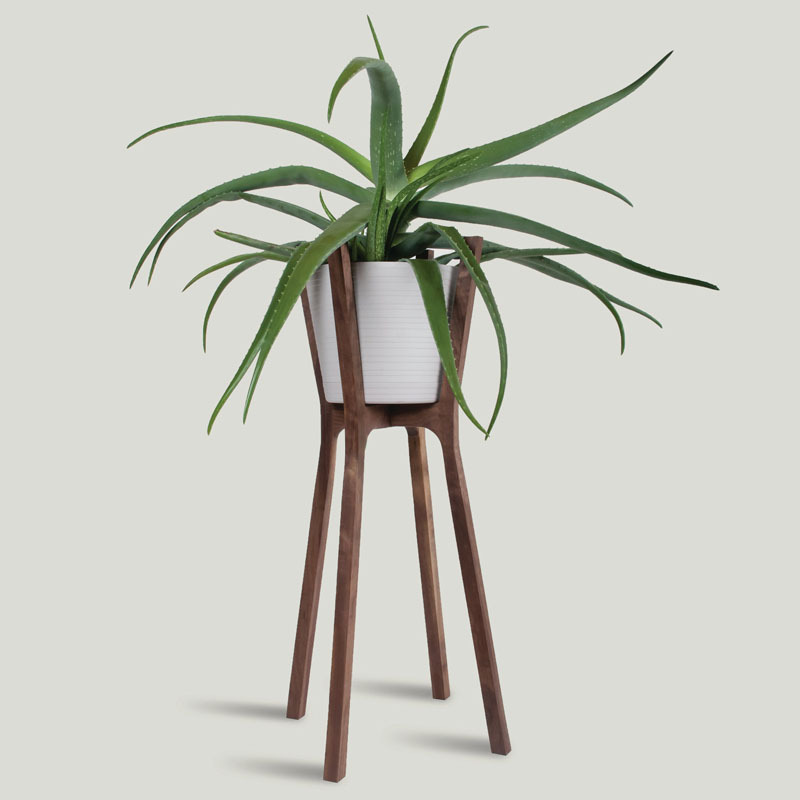 Made for indoor use only, this handmade walnut wood plant stand is perfectly designed for holding your plants that can’t be outside. 10. 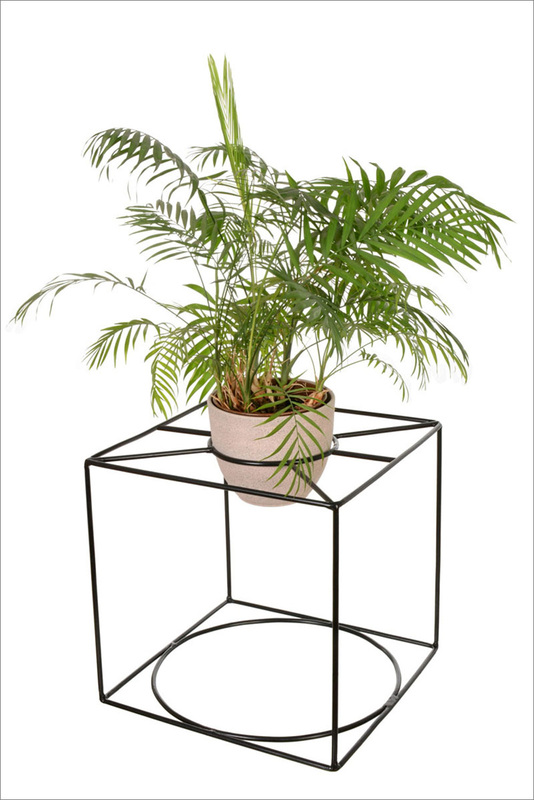 This modern and geometric black metal plant stand can gracefully display plants. 11. 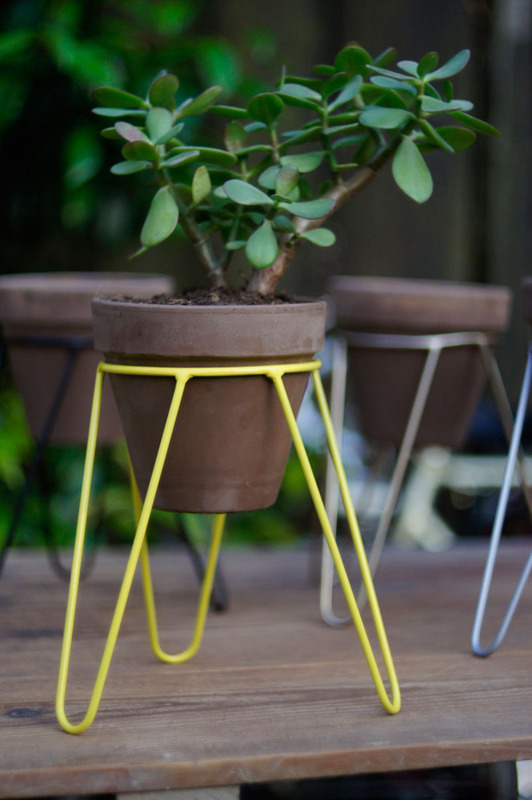 Minimalist in design and small in size, this yellow steel tripod stand is ideal for small plants and herbs. 12. 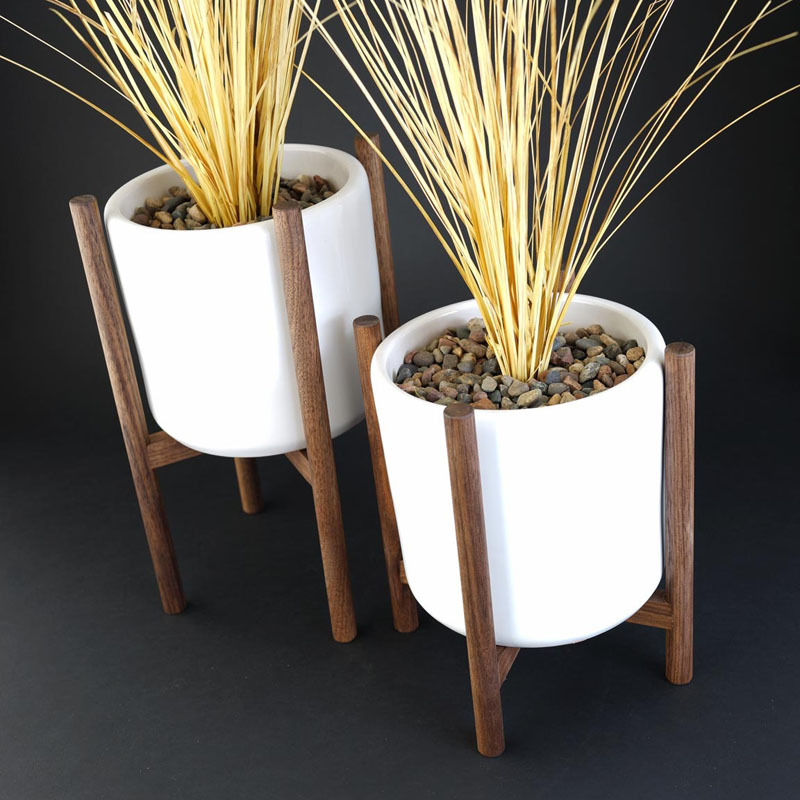 Cylinder shaped white ceramic pots sit inside these staggered walnut wood plant stands. 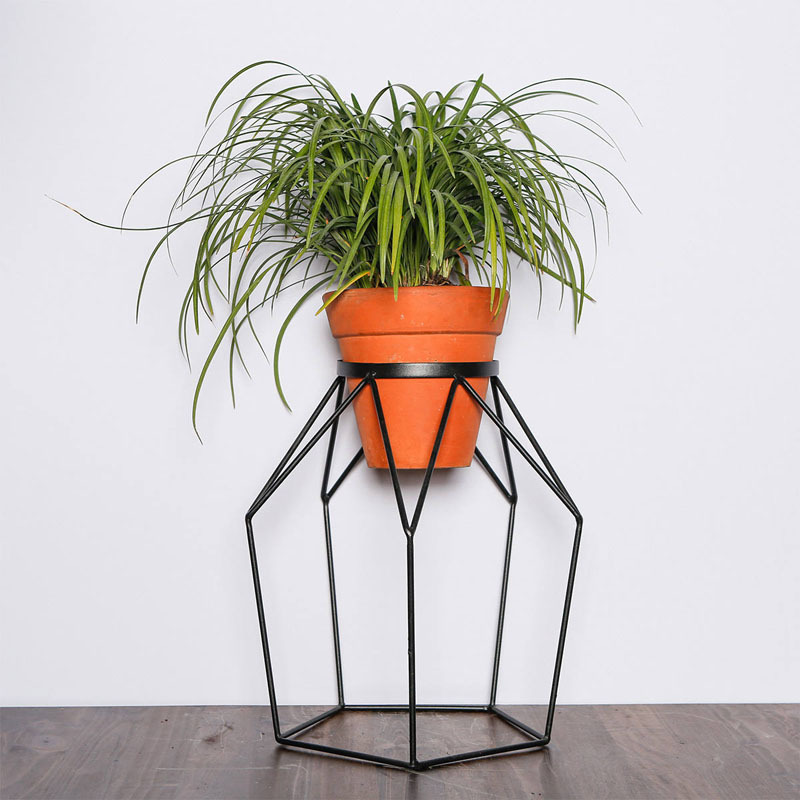 Mid-century inspired, these plant stands would suit any home decor. 13. 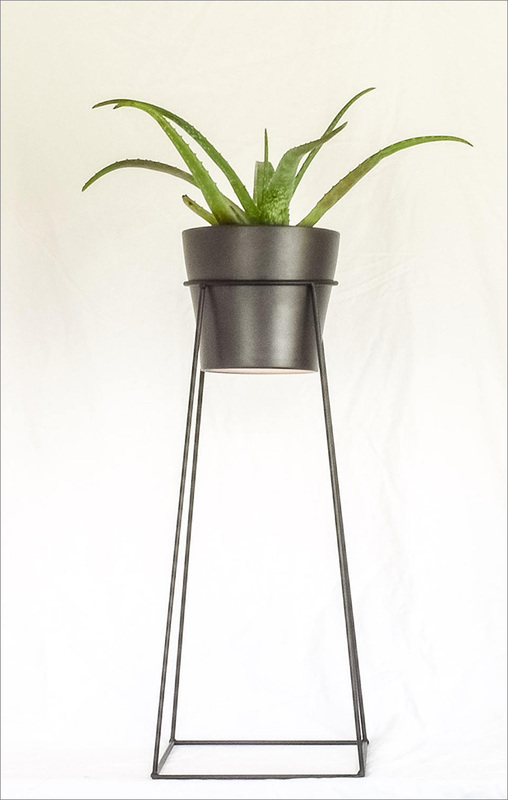 The feet of this black iron plant stand are uniquely rounded creating a modern design. A pot can be put on the natural pine wood platform, or placed directly inside the stand.